We are celebrating a special little lady's birthday today. This is a scheduled post as I have a few Finished Objects to share with you, two of which are overdue. As usual I'm sharing these with FO Friday and Creative Friday. You may remember a secret project a few weeks ago...? I can't tell you which yarn I used and I improvised the design - my first attempt at a one-piece crochet cardigan. It worked out well but the colour isn't great for photos so you'll have to take my word for it! 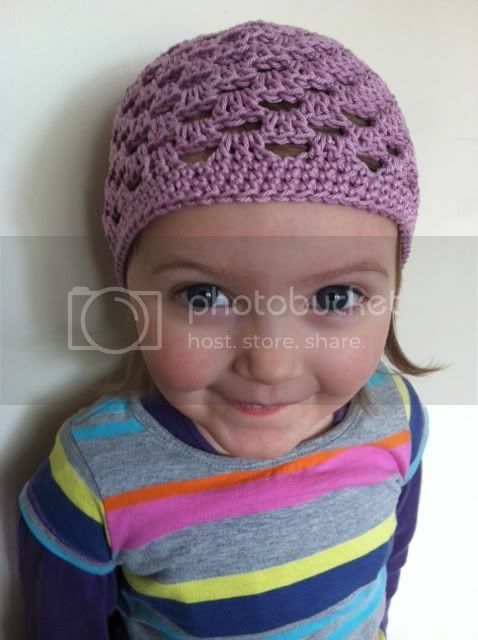 Love the hat, Maia has just had a peek and loves it in pink, you know what she has just asked for don't you? I guess if she wears it in the bath it means you don't have to wash it? Happy birthday to your lovely daughter! I love the baby hat too! 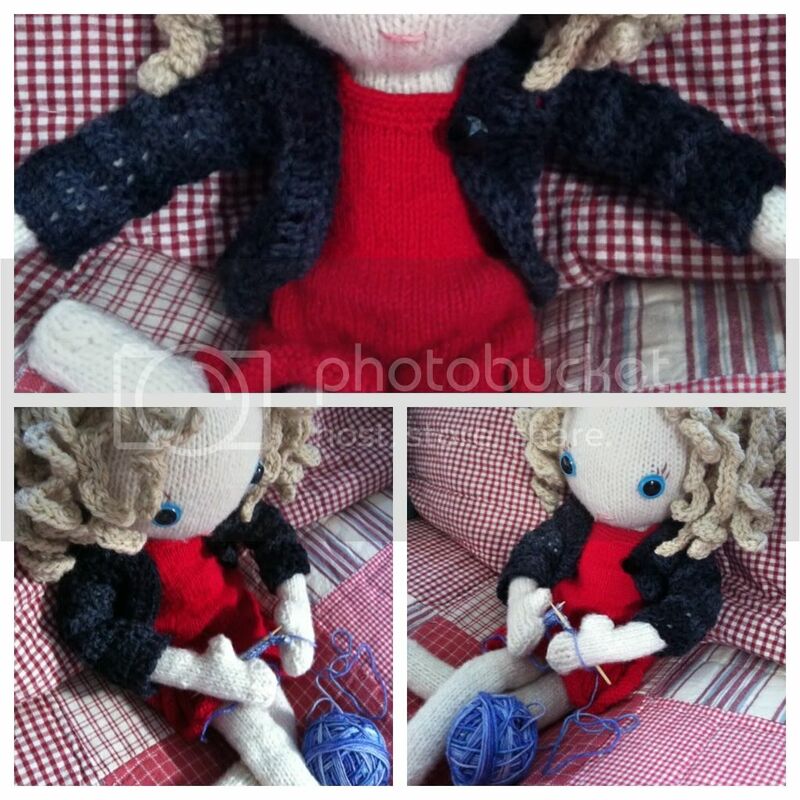 You designed the cardigan for pixie yourself, wow, it looks so neat! I love her little hat - she's right, it is perfect! She is sooooo cute. That is a great hat. Hope you all have a great day. I like both the hats. I'd go to sleep with the beany hat even if there is no flower. LOVE the hats! It is such a compliment that she wanted to wear it in the bath! I think I would want to too, it is that cute! Such great hats, both of them! I think I saw the same post you saw because I was debating doing the same thing for my daughter :) She's a lot younger than yours but she's at that awkward stage where we aren't quite ready for a haircut yet but her hair is EVERYWHERE! I love Pixie Moon's pictures (as always)! Happy Birthday to your beautiful little girl! :) The hats are adorable! Love Pixie Moon as well! 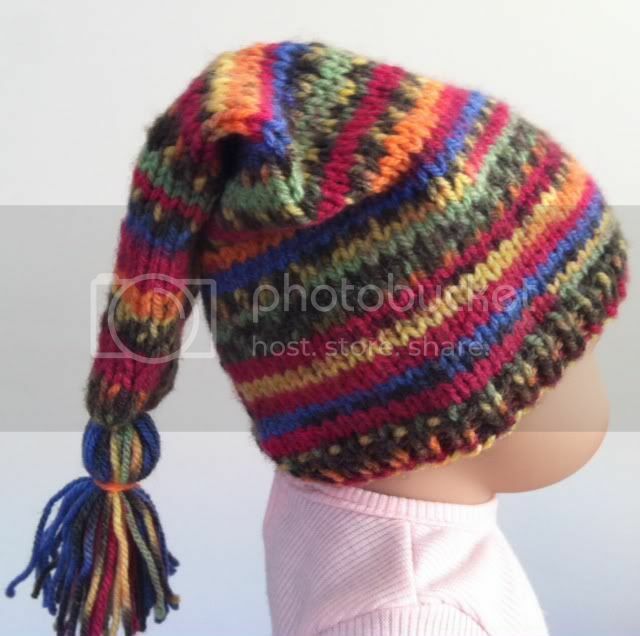 Oh my goodness that little Pixie hat! Happy Birthday to your sweetie! Happy birthday little lady, what a pretty model! Love both the hats and pixie's new clothes! Hope you're having a lovely celebration day. Happy Birthday Wishes to your little one! All your knitted things are wonderful. That Pixie hat is one of the cutest hats I've ever seen! Just love it. Awwwwwwwwwww that hats a re super cute! I love how your Little Miss has an opinion. My 4.75 year old decides how to do her hair, what dress to wear, and which shoes and jacket to put on every morn. My 7.5 year old has been deciding what shoes to wear since she was 2! What a great hat. I love the doll shrug and how she's crafting along. I love that hat and it is obviously a loved one! Love the smile! what a friggin cutie showing off her hat! she looks so pleased! Also love that pixie hat!